This is the only sign that lets folks know they’re at the Hmongtown Markeplace. It faces Como Avenue. 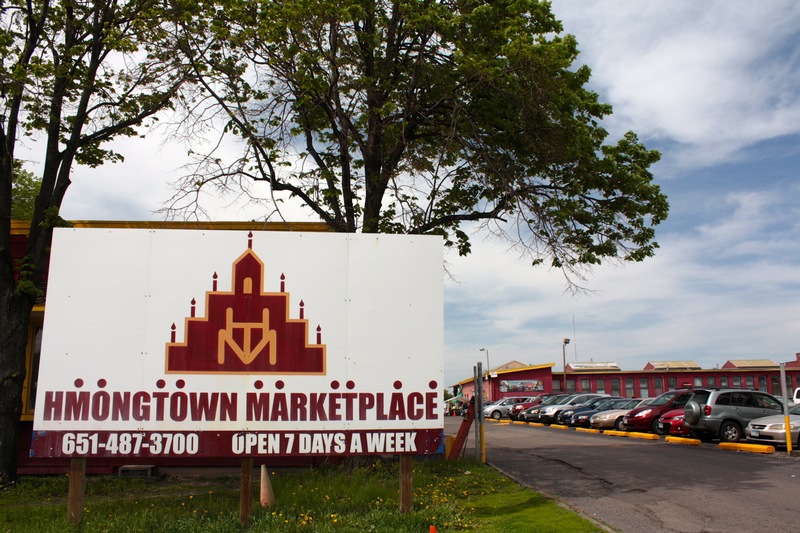 In part 2 of “C, C and C,” I moved on to the North End, to one of Saint Paul’s cultural treasures, the Hmongtown Market. 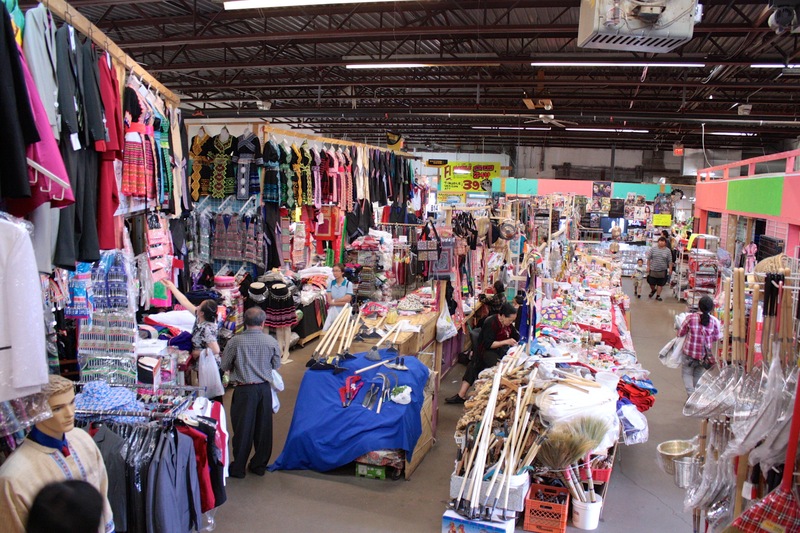 Located on the grounds and in the buildings of an old lumber yard, a visit to the Market is as close to experiencing Southeast Asia as you can get without going there. 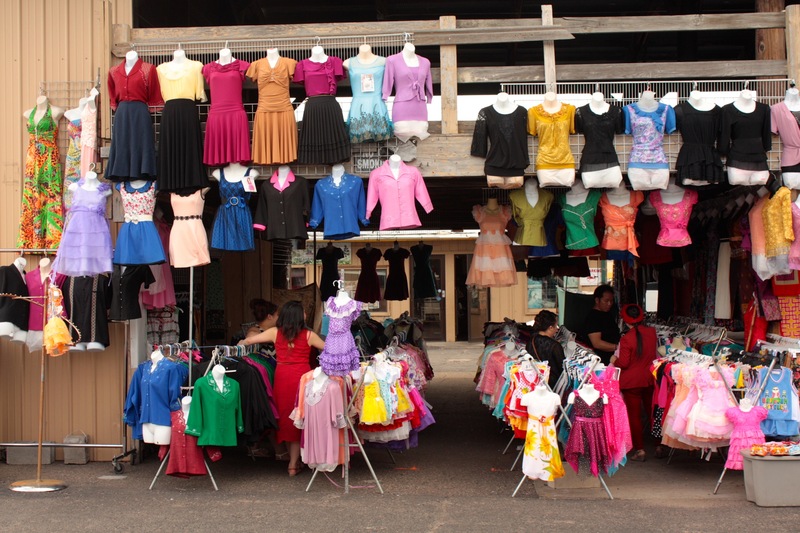 Clothing and cookware are stacked from floor to ceiling at the Hmongtown Market. “When you’re here it’s kinda like you’re in Thailand. Even when you order food sometimes you might have to point because there’s a language barrier. But people all understand pointing and you know how many finger you hold up is how much it costs,” according to Jamie Liu, manager of the Hmongtown Market. 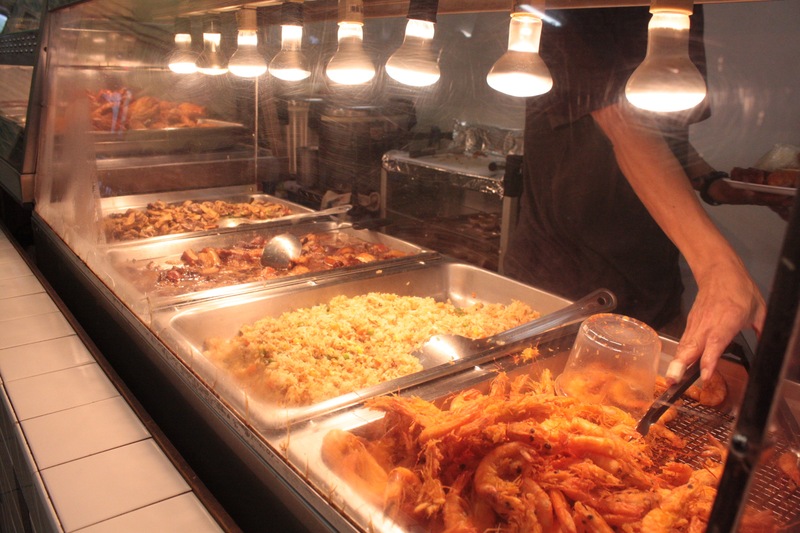 Just a sample of the variety of Southeast Asian cuisine at the Market. The delectable assortment of Asian foods sold at 11 food booths is great motivation for a getaway to the Market. Of course there are egg rolls and a marvelous assortment of traditional Hmong dishes such as pig ears, chicken larb, sweet pork soup, sesame seed balls, a sweet, deep-fried pastry, and specially seasoned pork ribs. Fried fish and two kinds of sausage await hungry shoppers. 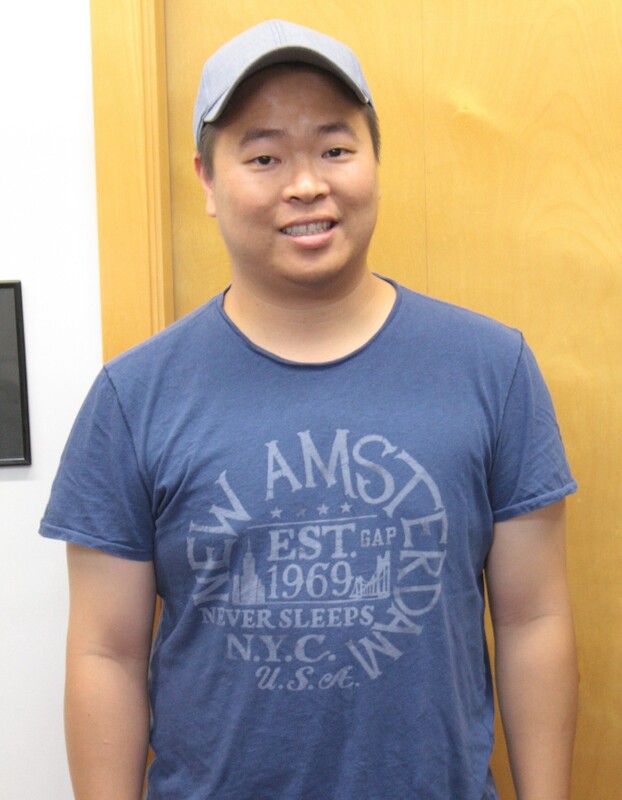 Jamie Liu, general manager of Hmongtown Market. 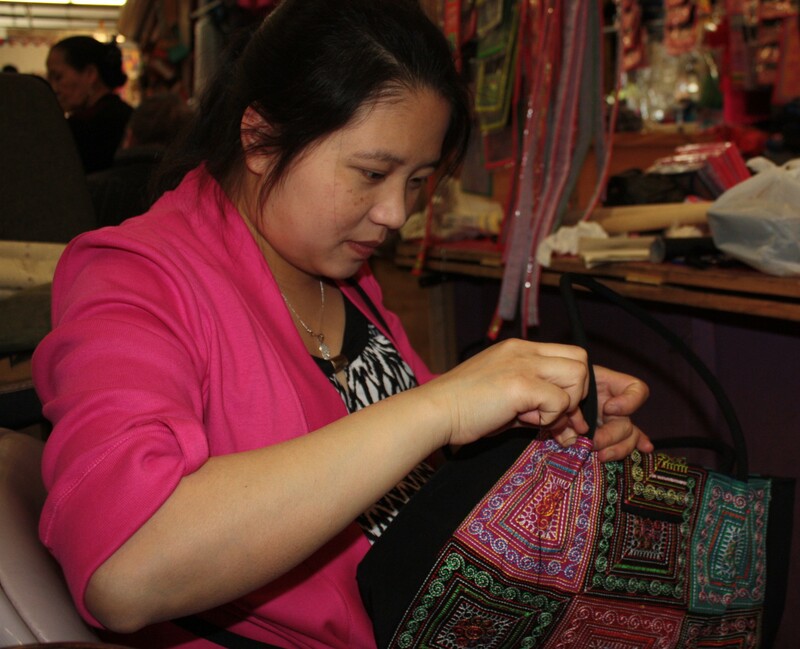 In a booth at the Market, a woman stitches a traditional Hmong outfit. 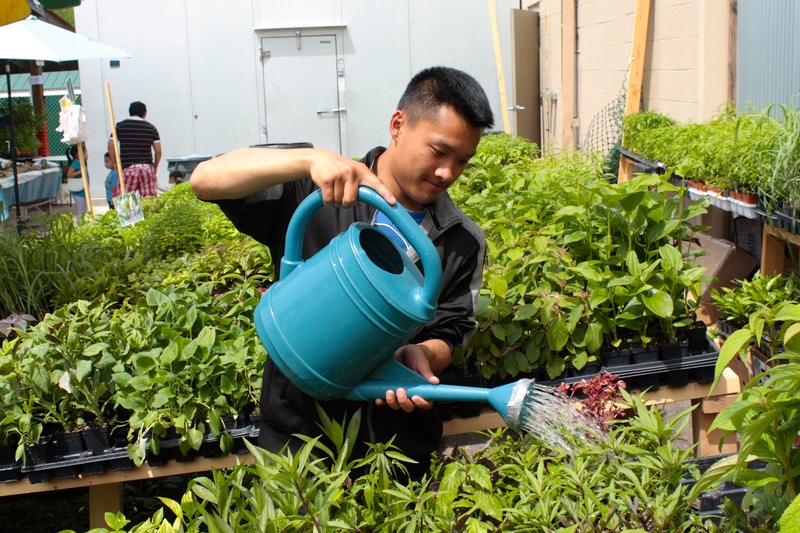 Luke Yang attentively tends to his herbs. 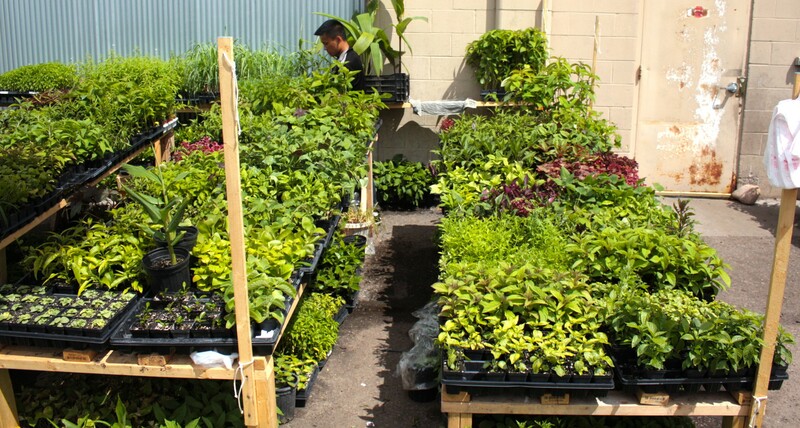 Luke Yang and the herbs grown on the family gardens in the Forest Lake area. 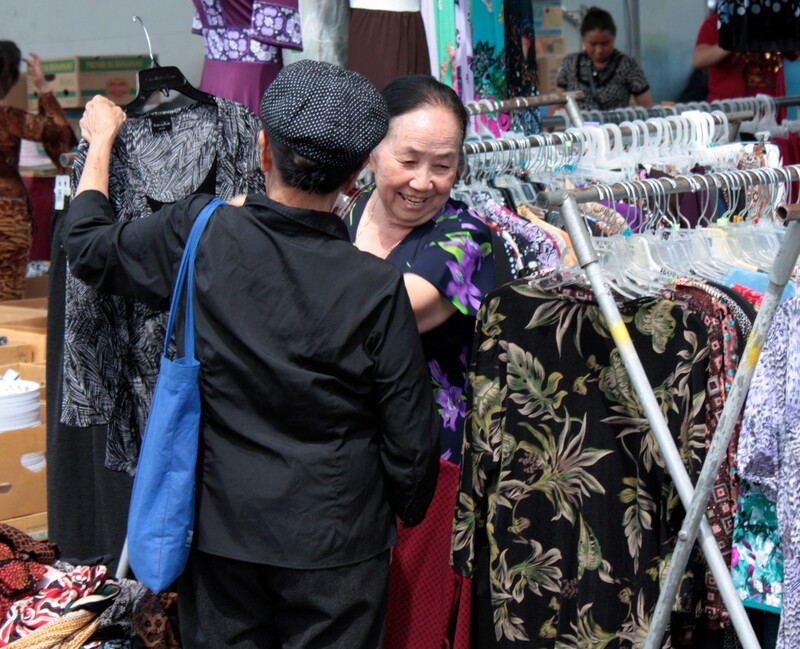 Two women discuss a dress at Hmongtown Marketplace. 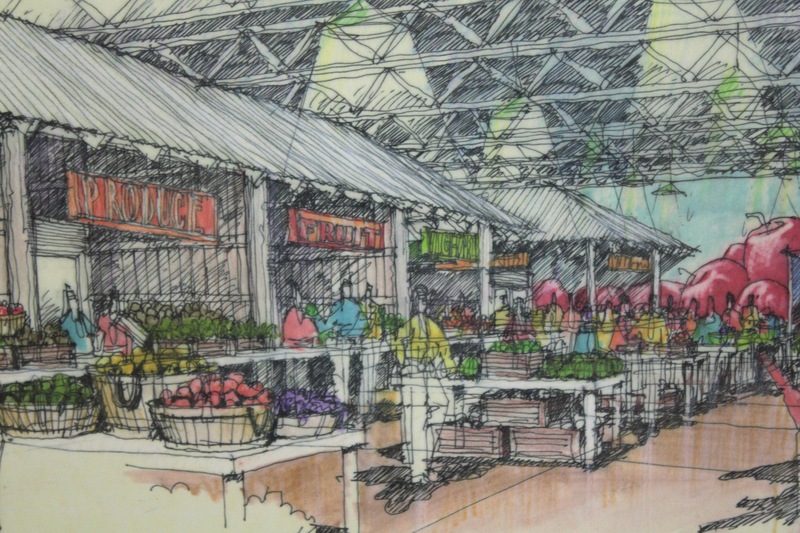 An architectural rendering of one idea previously considered for the Hmongtown Market. Courtesy Hmongtown Market. The variety of colors on dresses and tops makes a rainbow look plain. After gobbling down some egg rolls and wandering among multi-hued booths of the Market, I moved east to Rice Street and north to an industry-lined block of Sycamore Street. 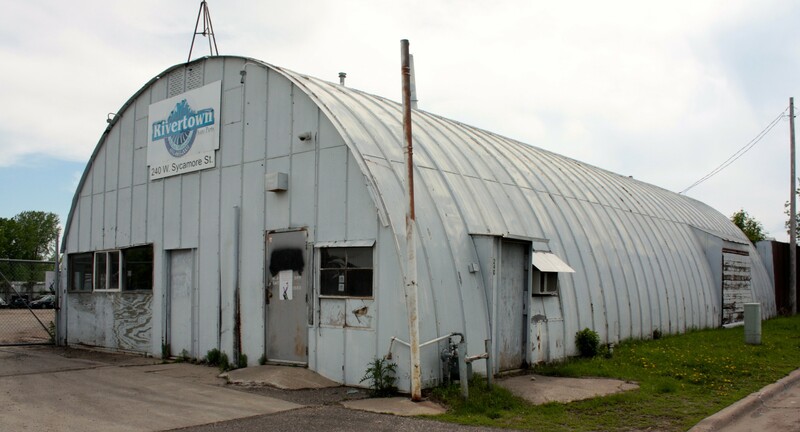 By far the most interesting structure is the Quonset Hut home of Rivertown Auto Parts. Quonset Huts were designed in 1941 by some engineers at Quonset Point Naval Air Station in Rhode Island, from which the structure got its name, according to the Washington State Department of Archeology and Historic Preservation. The prefabricated portable buildings of corrugated metal and arched steel ribbing were made with the threat of war hanging over the country. Back on Rice Street, an old sign no longer informs passersby of anything. A Rice Street banner and on the right, an Xcel Energy (NSP) facility that houses the company’s credit union. 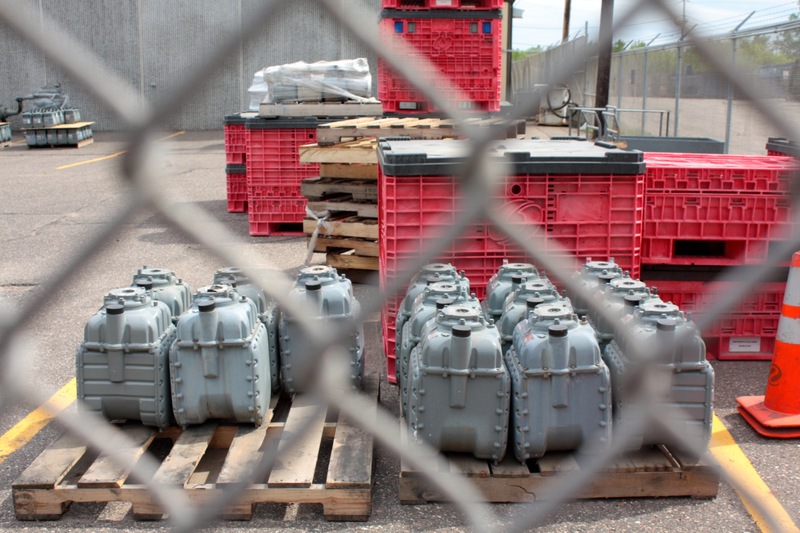 These industrial gas meters are stored near the back of Xcel’s Rice street building. 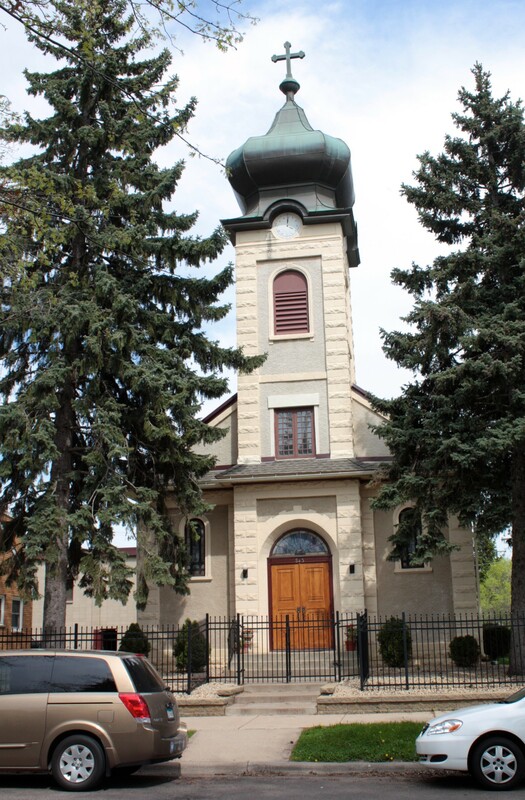 The front of St. Mary’s Romanian Orthodox Church. According to SaintPaulHistorical.com, the full name of the church is Falling Asleep of the Ever-Virgin Mary. 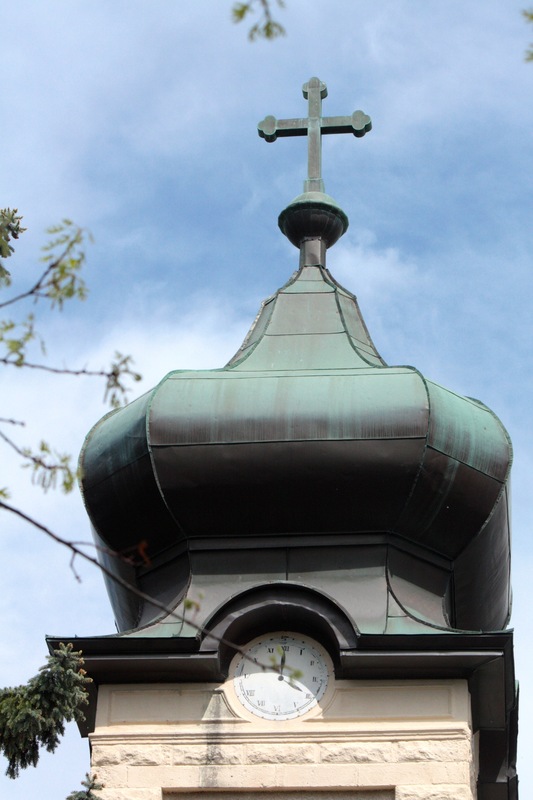 The quaint St. Mary’s Romanian Orthodox Church at 189 West Atwater Street was built in 1914 to serve the large number of Romanian immigrants who settled in the North End. One hundred years after construction began, the church remains in splendid shape. One inexplicable oddity is the fake clock with painted hands at 4 o’clock, just below the onion skin dome. Well, at least the clock is correct twice each day. 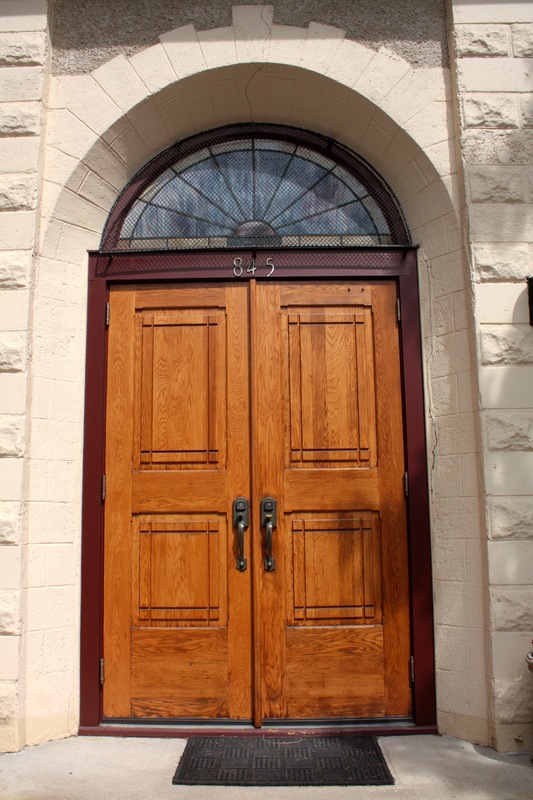 Most think the address of the church is 845 Woodbridge Street but nothing comes up in a Google search of that address. 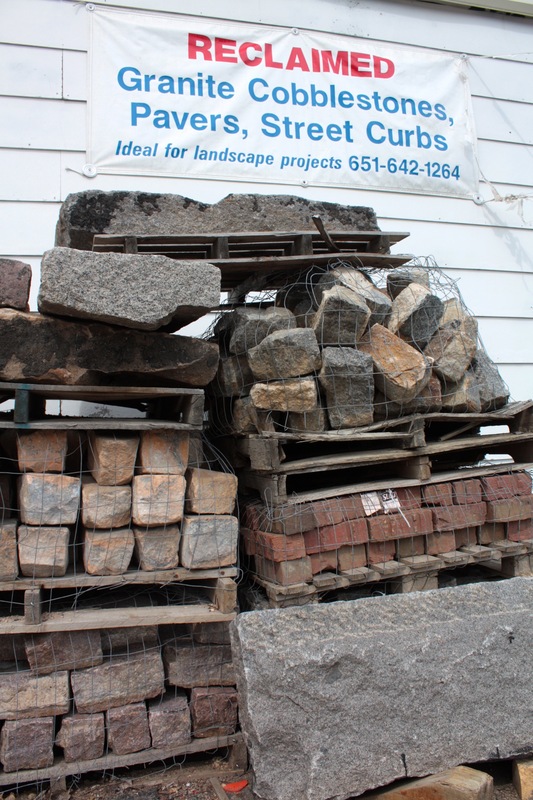 Next time you’re in the market for recycled cobblestones, bricks and granite curbs make sure your first stop is 455 Como Avenue at Atwater. I’ve never come upon this sign before. It’s discouraging to see and to imagine what has happened to prompt its posting. Do Green Bay Packers fans live here? Or someone who wants a reminder of green grass and sun during the depths of the dark, cold winter? 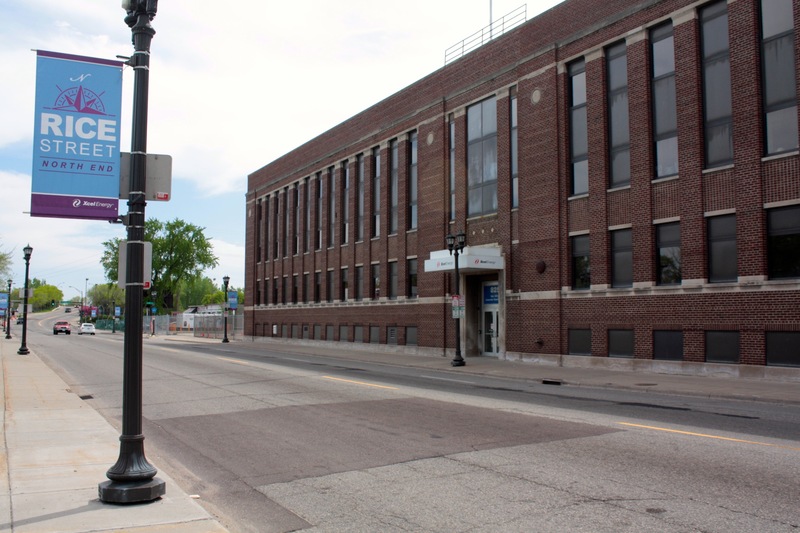 The social service non-profit Amherst H. Wilder Foundation has more than 10 buildings scattered around Saint Paul. 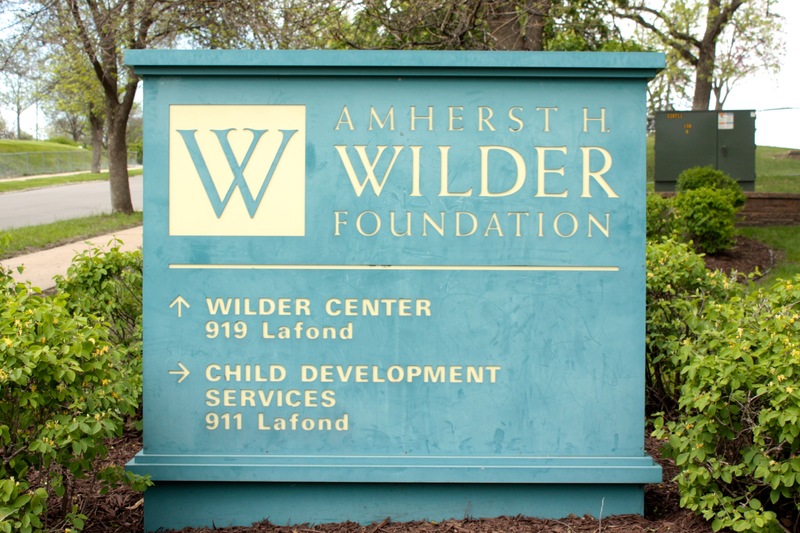 Wilder assists children, families and older adults move towards greater self-sufficiency. 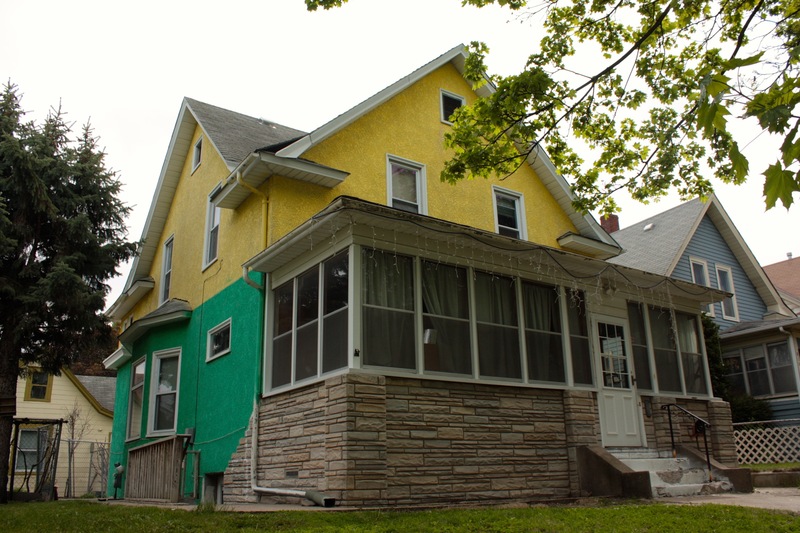 Three of Wilder’s buildings are in the 900 block of Lafond Avenue in Frogtown. The largest is the Child Development Services building at 911 Lafond, home to a preschool and childcare center. The Center for Social Healing and Wellness assists the local Southeast Asian community’s cultural barriers and needs. Wilder’s Day Treatment program offers mental health services to children aged 6-12 and their families. Some other buildings on the campus were shut down by Wilder because of the recession. Holcomb House and Spencer House, residential treatment centers for children and teens, were both demolished. The former O’Shaughnessy Building’s address, 941 Lafond, is perplexing as it is closer to Milton Street and nearer still to Blair Avenue. 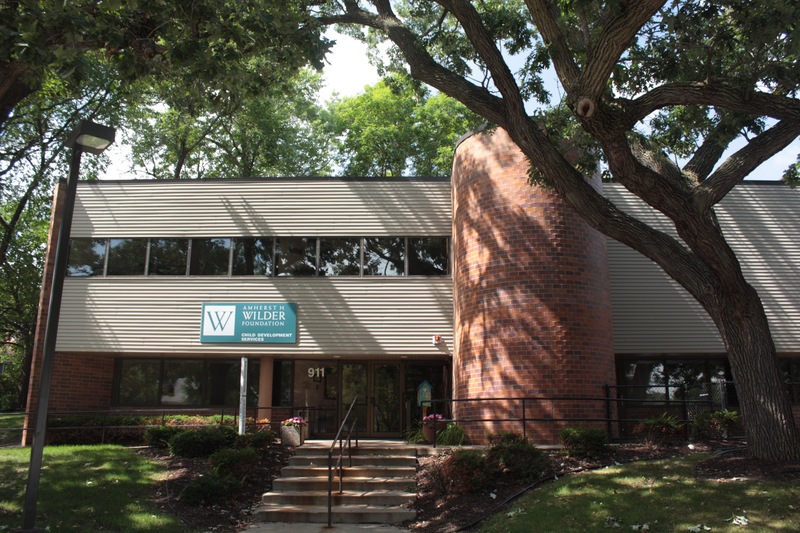 Wilder headquarters sat on this same campus from 1969 to 2007. Before that, the House of the Good Shepherd accommodated unwed mothers, prostitutes and other girls society considered irredeemable. 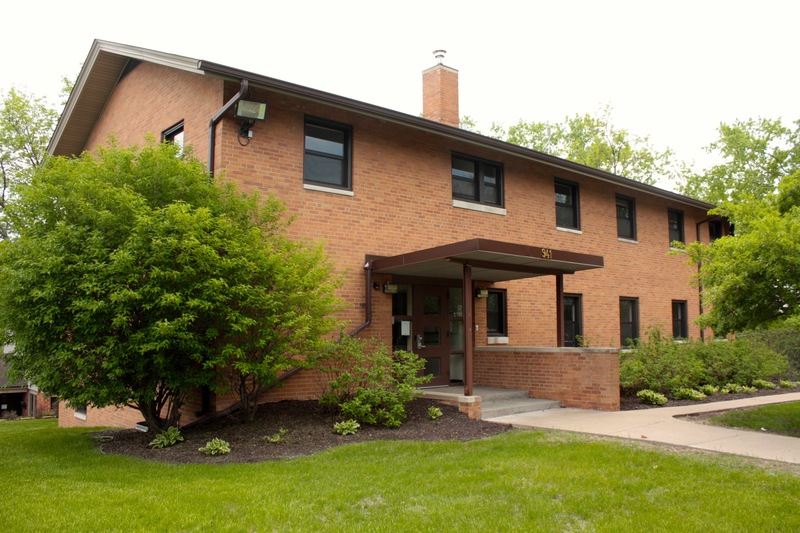 The Contemplative Sisters of the Good Shepherd operated the shelter from 1883 and 1967, according to Saint Paul Historical. 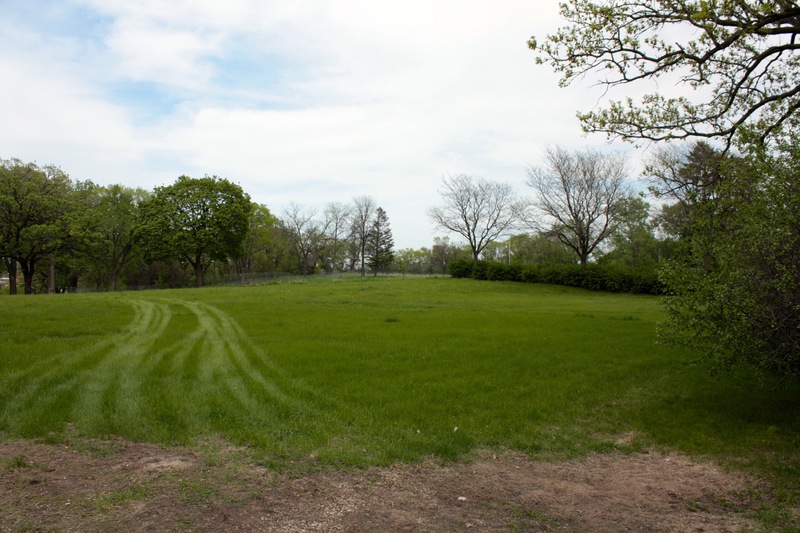 This meadow and surrounding trees doesn’t look like much now but Saint Paul’s newest park will begin to take shape in 2015. By this time, I’d been gone more than three hours so I started back home. Then a fire engine came roaring toward me on Lafond, lights flashing, siren screaming and the horn blaring. The rig stopped less than a block from me and the firefighters jumped out, grabbed a hose and moved quickly toward a smoldering pit. Two of the crew of Ladder 18 in Frogtown prepare to put out a small fire. Several blasts of water and the fire was out. 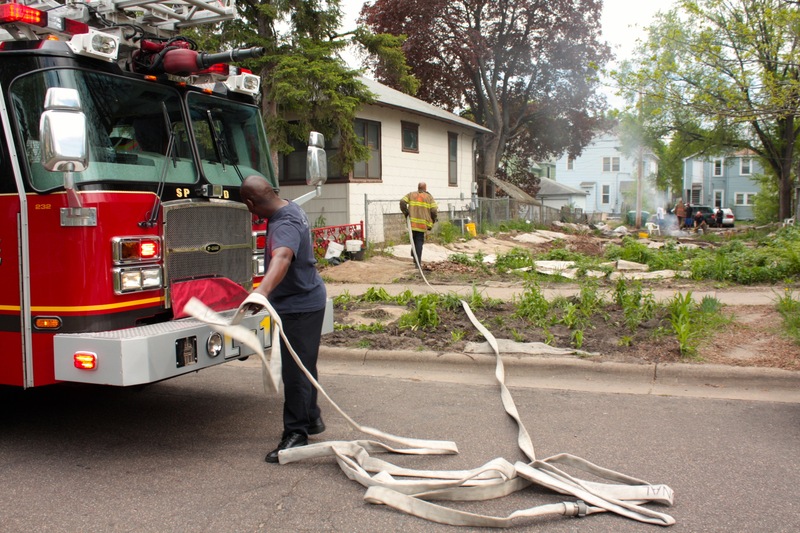 I wasn’t close enough to the action to hear what firefighters said to the folks responsible for the blaze but I’m sure they suggested better ways to remove a tree stump. 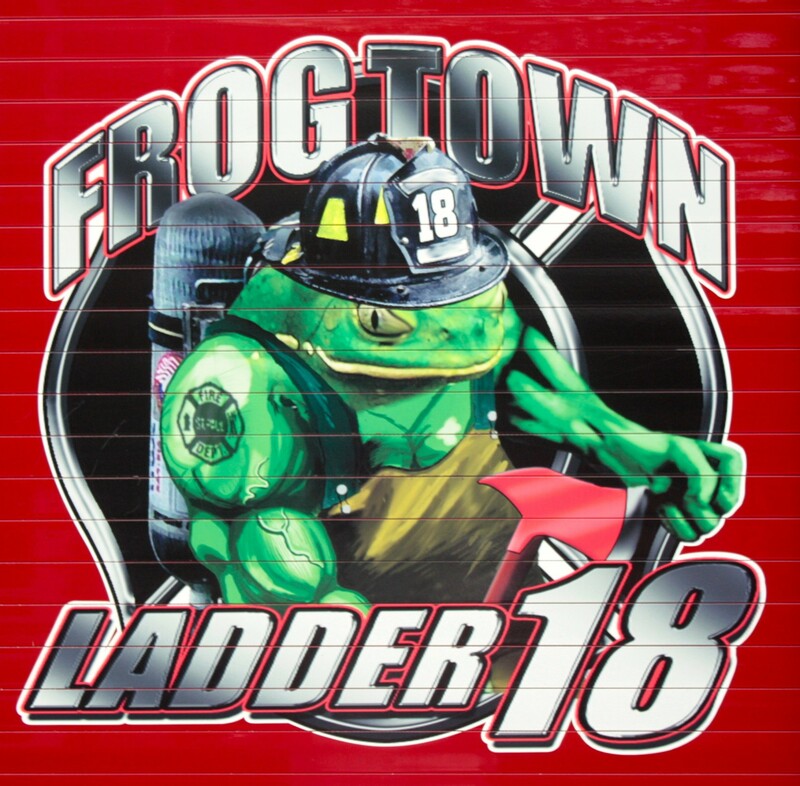 The Ladder 18 mascot is displayed proudly on the sides of the rig. 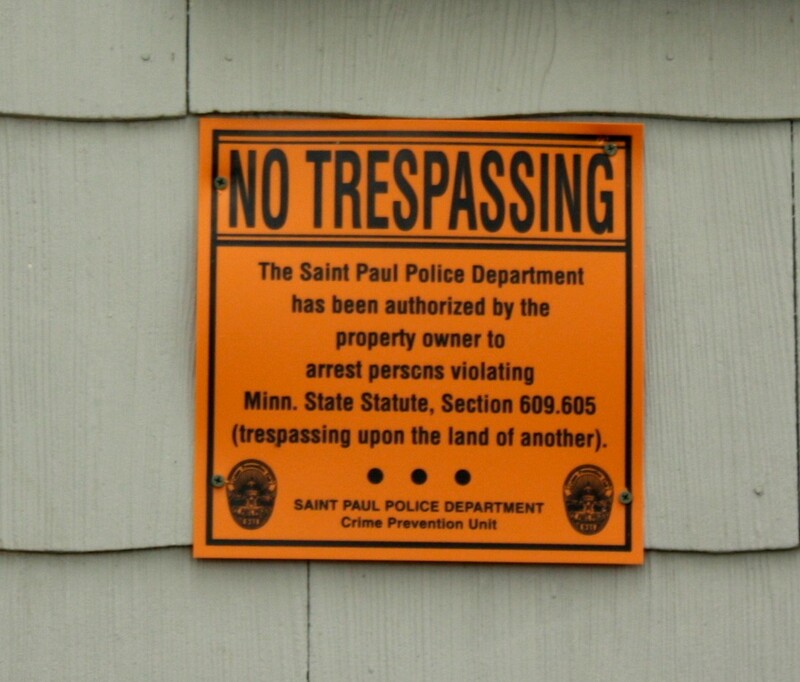 Wolfie Browender has lived in Saint Paul with his wife, Sue, since 1986. He is proud to live in Minnesota's Capitol City, specifically in Highland Park. Wolfie is a native of the Milwaukee, WI area. The father of two adult daughters, Wolfie bikes for fun and exercise. You can follow his travels throughout Saint Paul on his blog Saint Paul By Bike-Every Block of Every Street at http://saintpaulbybike.wordpress.com. 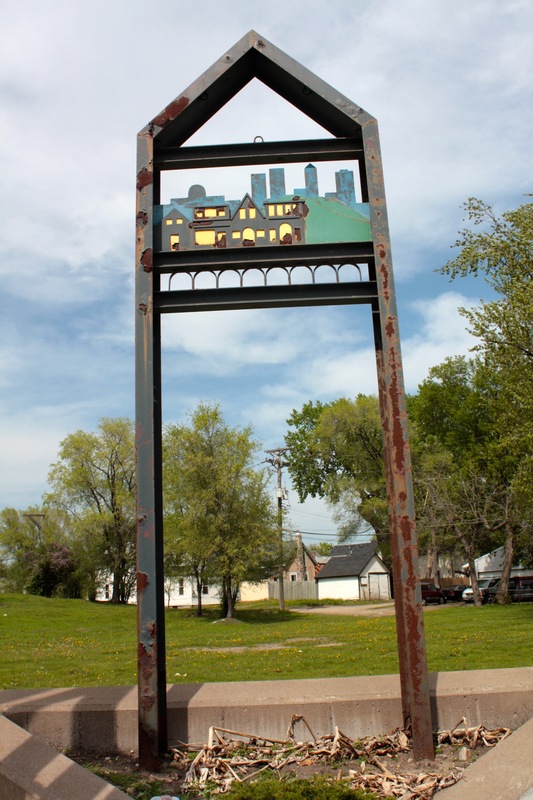 Thanks for this lovely writeup of my old neighborhood. Hmongtown is on the short list of place that I take out of town (read: Minneapolis) guests to Saint Paul. It’s such a great experience, day in and day out.